I am really excited today because not only am I sharing a Fabulous Farmhouse Tour of my dear friend Gina’s Home…aka: The Shabby Creek Cottage but I am also giving you a peek into her new course …The Farmhouse Forumla which is perfect for everyone that loves the Farmhouse look but needs a few basics and ideas! 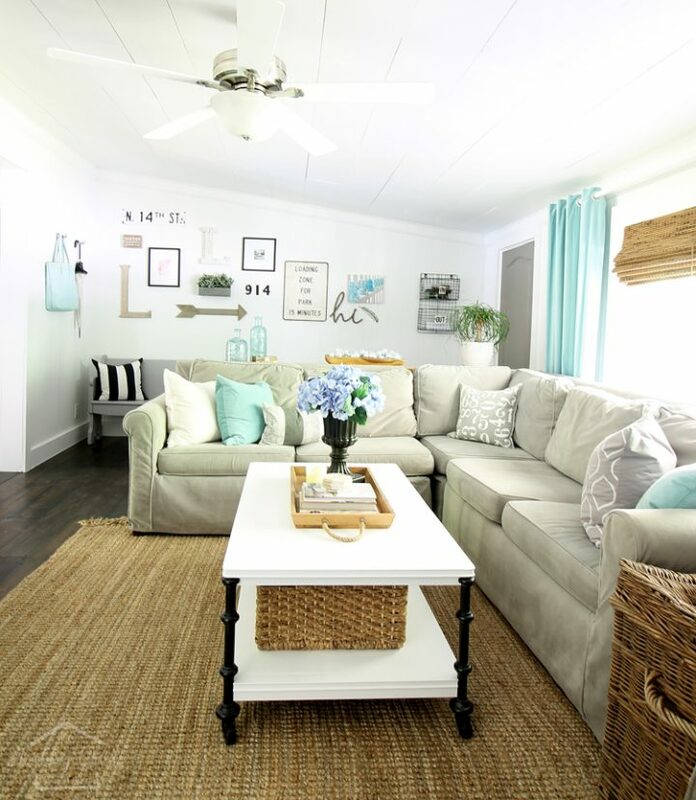 Gina feels as though Pinterest and so many other sources have conditioned us to believe that everything has to be perfect…Gina’s theory is that you should love your home and make it a place where your and your family can relax and enjoy life! She believes your home should be “perfect” for you and not the masses! Let’s take a look at the home she has created for her family in her own unique Farmhouse Style. 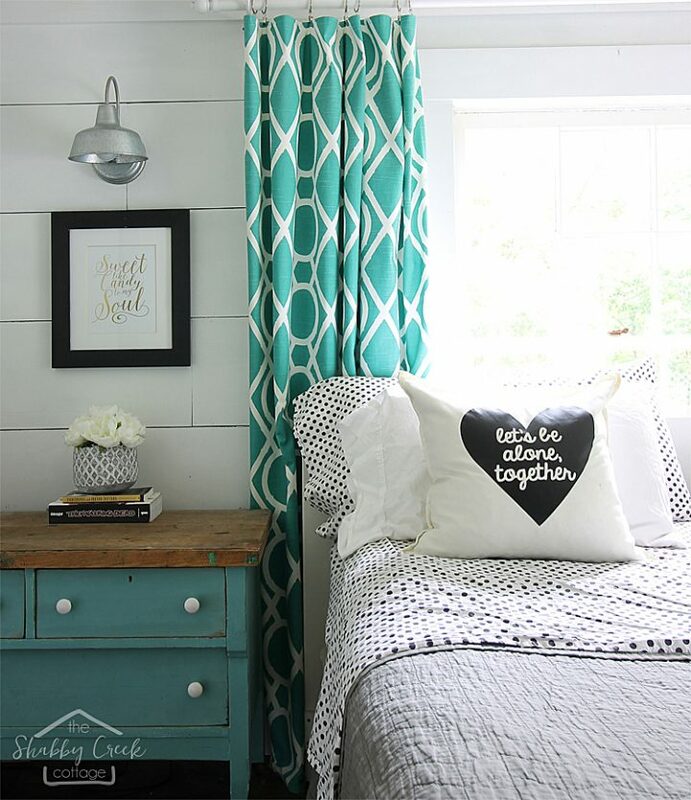 You will also see how Gina embraces color…Farmhouse does not mean everything has to be neutral. 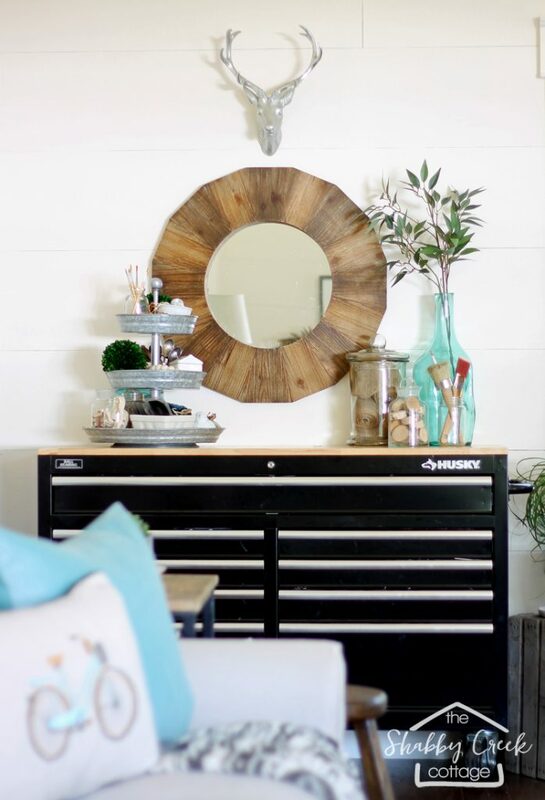 One more thing has to be mentioned…Gina and Mitch are the King and Queen of DIY…from Deck Makeovers…To building an entire structure…To Farmhouse Signs and Furniture plus everything in between…be sure to check it all out on her blog! Time to knock on her door. 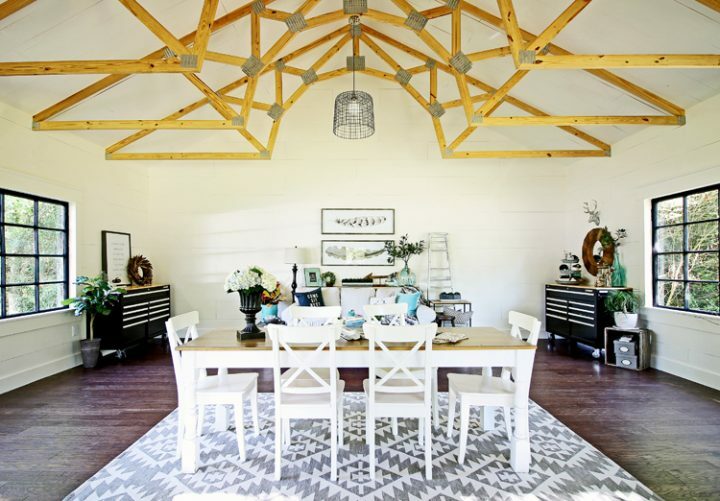 Let’s start with Gina’s She Shed aka Studio…her personality shines here with a Contemporary Playful Farmhouse Style. Oh and did I mention that Gina and her husband Mitch build this gorgeous She Shed from the ground up (color me impressed)! Gina’s attention to details makes each space special! 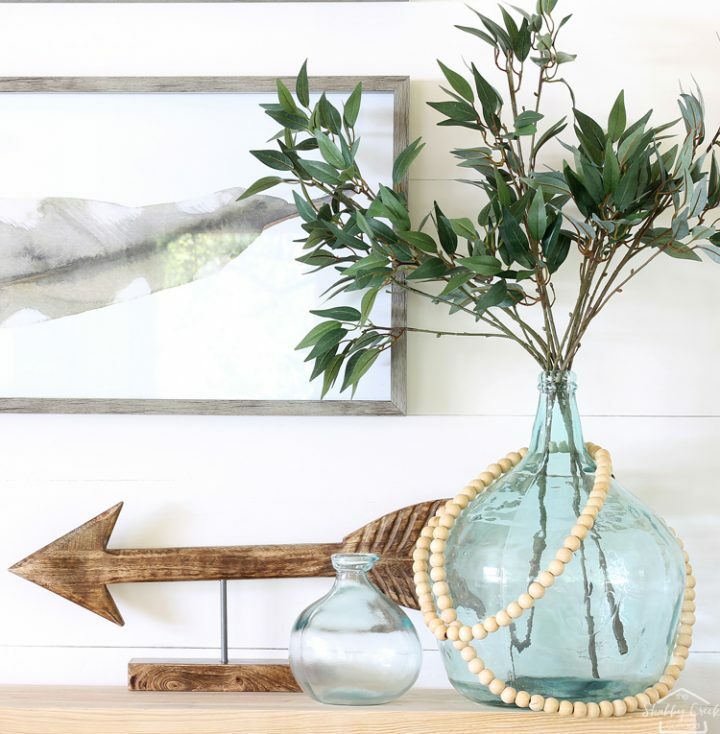 Loving this Contemporary Farmhouse Style…it’s fresh! Another thing I love about Gina’s style is that she is always thinking out of the box…who knew that a Toll Box with major storage would be the perfect piece where a buffet would usually be used! How incredible is this ceiling…once again built from scratch. She even manages to bring her inner soul to the Kitchen in the Corner. For more of this fabulous space…visit here. It’s time to step inside the main house where you are greeted with a Fresh Farmhouse Smile. 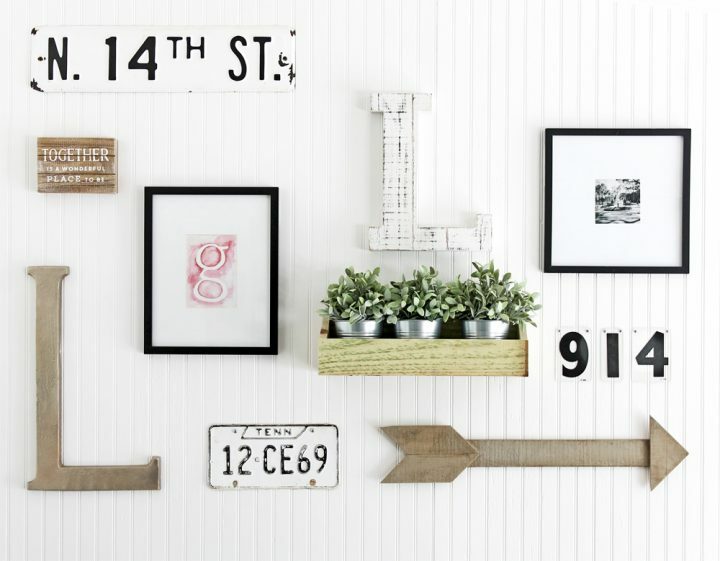 Person Details fill her home with love…how much do you love this Gallery Wall. 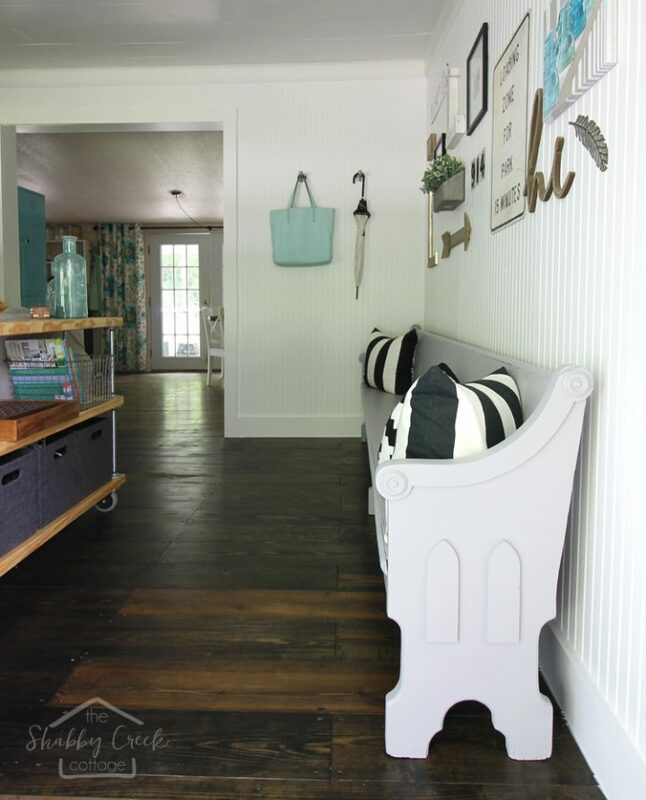 Gina’s rescued a Church Pew…gave it a new look and found the perfect space! Talk about stylish and unique extra seating! 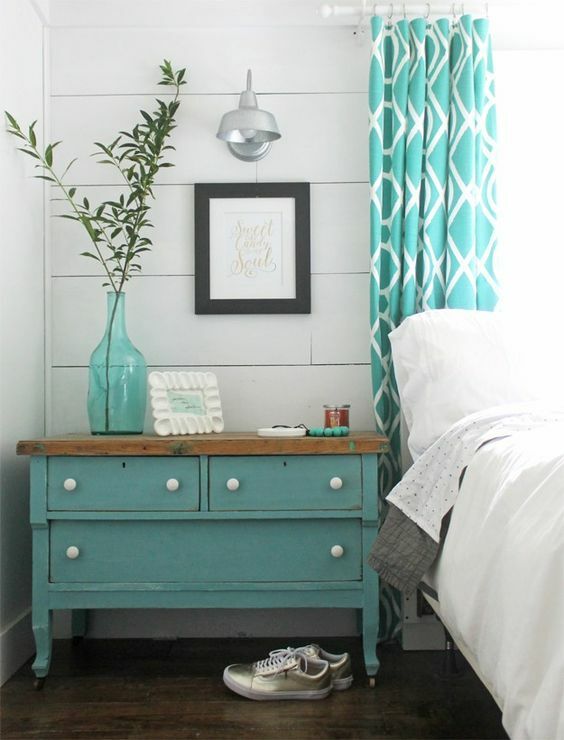 The Contemporary Farmhouse Vibe continues into the Bedroom where Gina adds the perfect pop of color to her space. 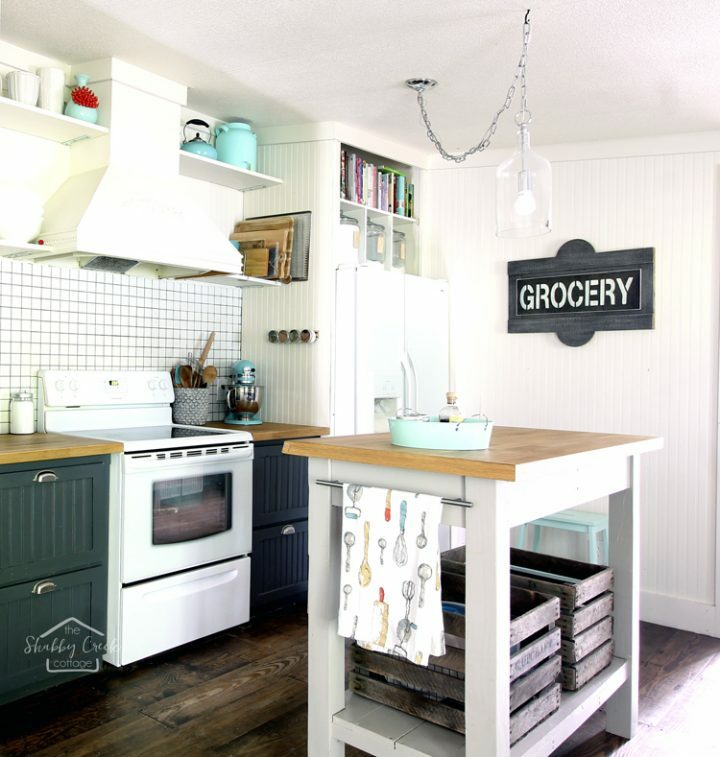 Gina’s Kitchen is light…airy and filled with her personality. 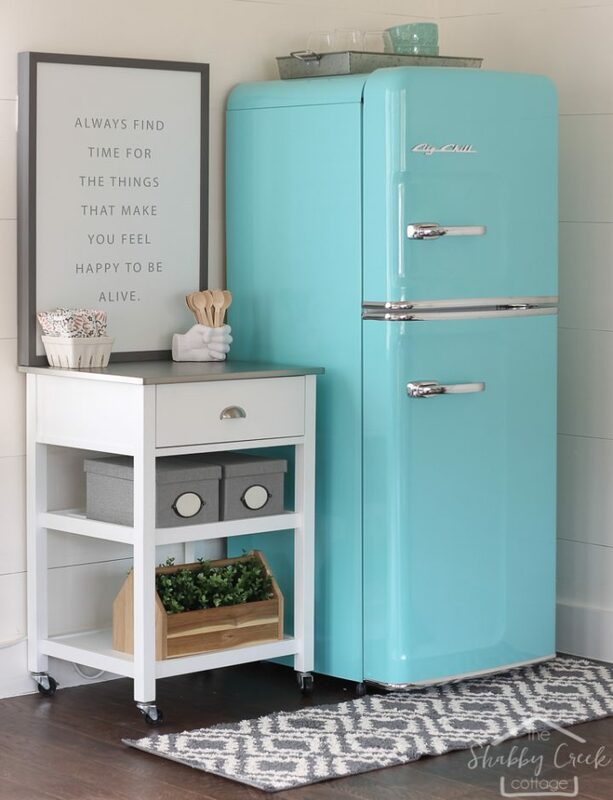 I am sure you are asking where is that pop of color in the Kitchen…well…fear not my friends…here it is and may I say it is fabulous and imaginative! Here’s one of Gina and Mitch’s newest creations…yes…they even take that Contemporary Farmhouse Look outdoors. 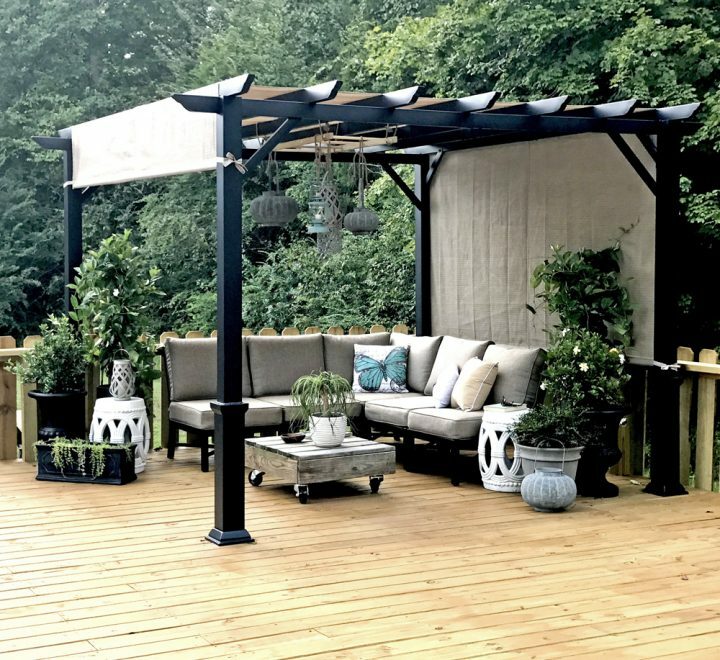 You can see all the details of this gorgeous deck makeover right here. 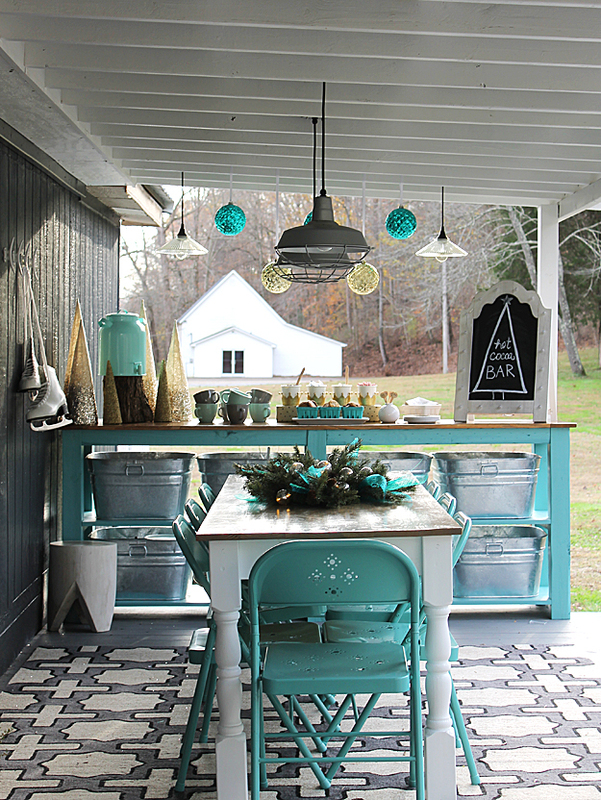 The Farmhouse theme never ends…I thought you would all enjoy this one…this is Gina’s deck at Christmas Time where there is always Hot Chocolate waiting for visitors and Caroler’s! How Farmtastic is this space. So…if you are loving this style or need help developing your own style…Gina can help you with her extremely detailed and inclusive course called The Farmhouse Formula. Here’s some more info on this fabulous inspirational class and how you can participate in it and gain all that confidence you have been looking for to let you style SHINE! I am going to turn this over to Gina now…she will fill in all the blanks…trust me…you are going to love this course! 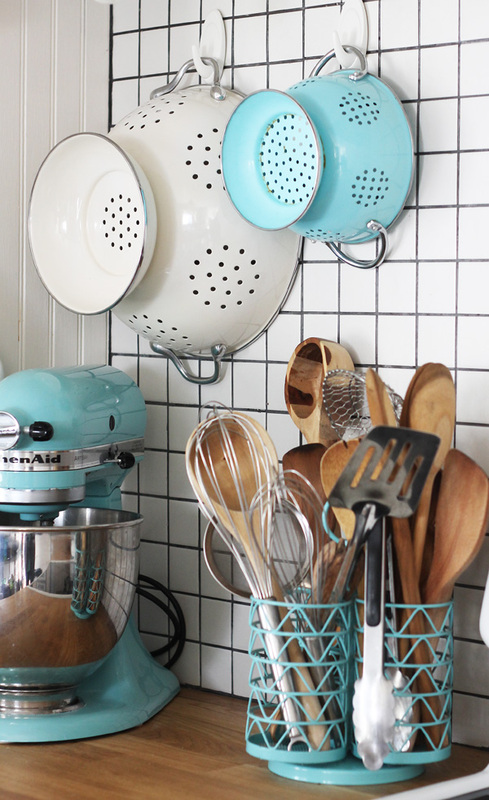 PINTEREST HAS CONDITIONED US TO BELIEVE THAT EVERYTHING IN OUR HOME SHOULD BE FLAWLESS. What your home should be is a beautiful backdrop for your family’s life – a place for them to recharge, relax and be completely themselves. It’s where happiness should happen. SO WHY IS THE PROCESS OF CREATING A SPACE YOU LOVE SO FRUSTRATING? BECAUSE IT SHOULD BE FUN, NOT FRUSTRATING. 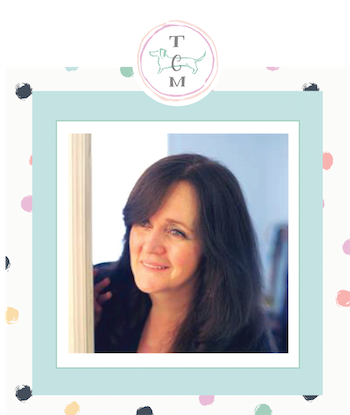 Hi, I’m Gina Luker, the blogger behind The Shabby Creek Cottage. I get a lot of emails on a daily basis and the most common among those that I get from readers is “I wish you could decorate my house!” and while I would love to help there is no way I could ever help all of you. So I created The Farmhouse Formula to help you make your dream home happen. Whether you are struggling with confidence in making choices, figuring out your design inspiration or learning to execute what you see in your head bring it to real life, then The Farmhouse Formula is for you. Look, I get it. The struggle is real. Girl, it’s hard to find the courage to commit and make mistakes and leave your comfort zone! 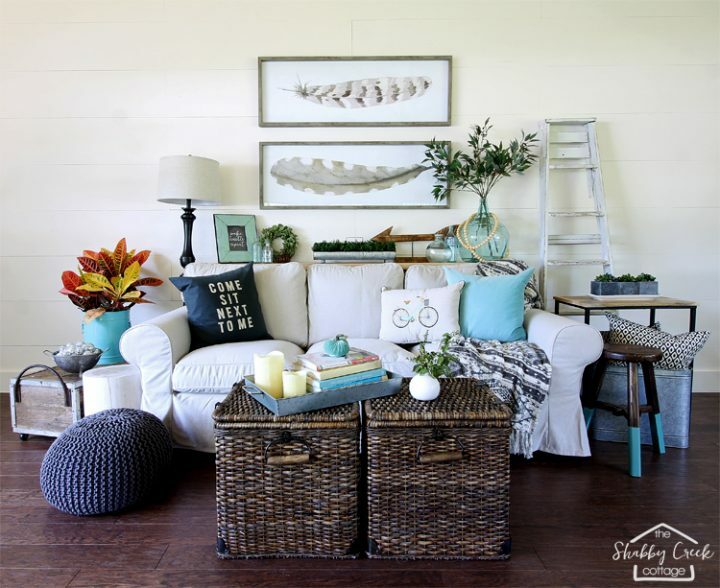 You may be afraid to mix and match colors or patterns, have no idea what furniture should go where, or you aren’t even sure what style of farmhouse is perfect for your home, then this course will learn how to make the choices easier at every step of the way. The Farmhouse Formula, an interactive online class that brings you together with a community of people to work on your design struggles. 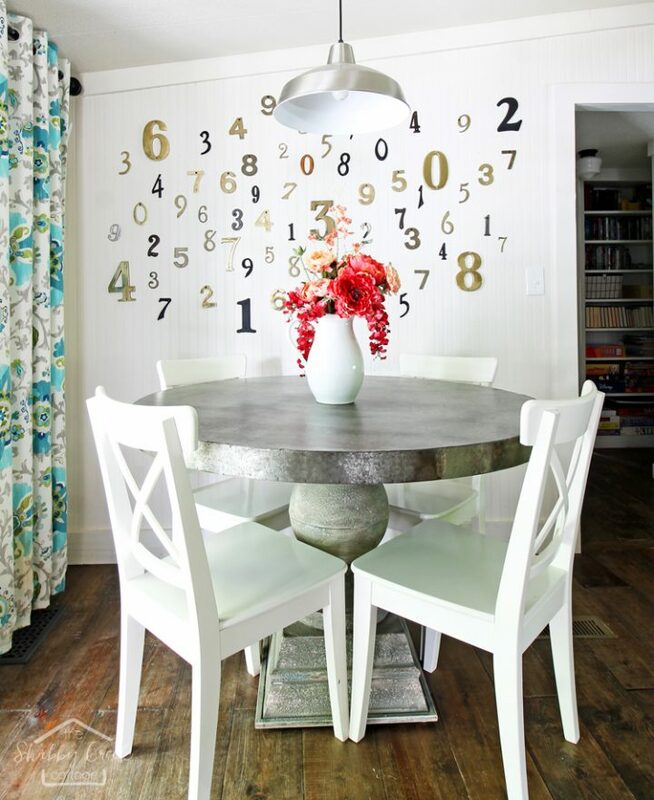 Building upon a series of “formulas”, it works like a recipe for decorating. While the theories in this course really work for any design style, it’s specifically built to help you capture the relaxed & inviting feeling that farmhouse style homes represent. When you enroll in the class, you are invited to participate in a private Facebook group with all the students, so you can support each other & share ideas. For only $97, the class lasts for 6 weeks, and comes with workbooks and tools that help you create a beautiful home. It also allows me to work with you on a personal level. While this set of formulas helps you to save time & money by making better choices – it also helps you bring back the joy of decorating. 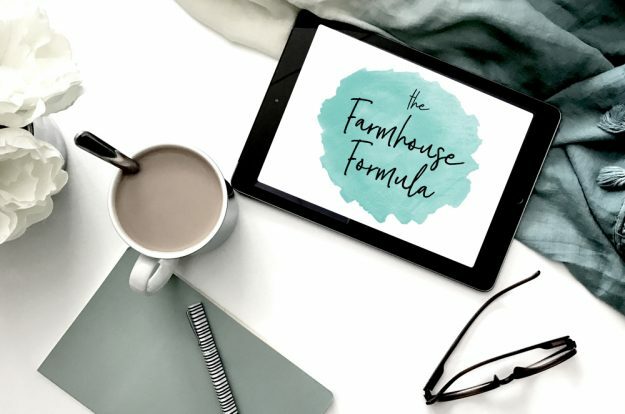 The Farmhouse Formula classes are 6 weeks worth of videos with workbooks and helpful information that help you design your home using the same methods I use in my own home. I also teach you how to find inspiration, tackle any design problems you may have, and how to find confidence in your style. • WEEK FOUR: WHAT GOES WHERE? This course will help you to tackle any space in your home. You’ll want to use the same formulas over and over in every room. 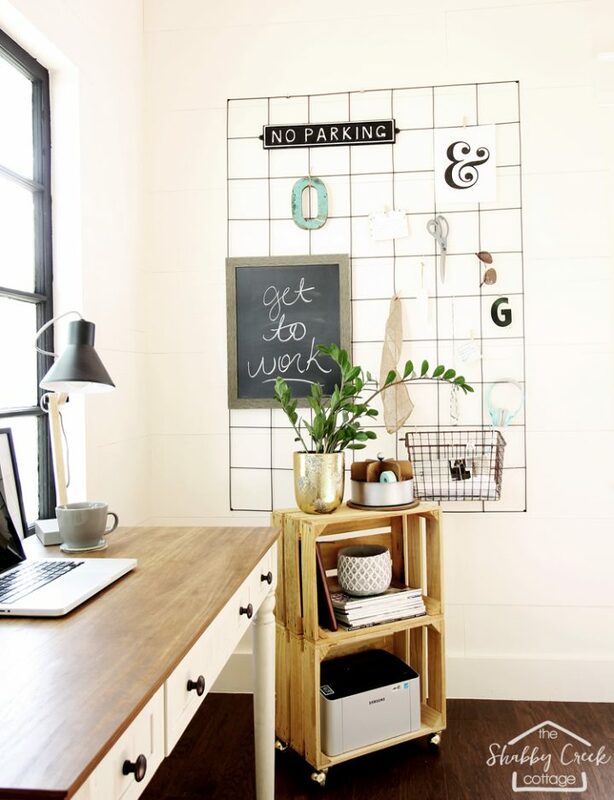 The printable workbooks you receive will help the process go smoothly, contains style guides and tips on how to look for great pieces to go in your home. Once you find those great pieces you can share it in the Farmhouse Formula Facebook group that you are automatically a part of when you enroll in the class. The group ensures that you have a support system that is there is encourage and advise. You have LIFETIME ACCESS – so there’s no rush on creating your masterpiece. There will also be Live Q&A’s over Facebook Live so that I can answer any questions you may have during the duration of the class. CLASS STARTS ON OCTOBER 2ND – SO ENROLL NOW TO GET STARTED CREATING YOUR DREAM HOME. 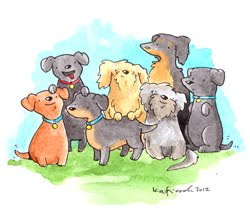 An affiliate link is included in this post…if any proceeds…all proceeds will be used to continue funding of our Animal Charities featured on Saturday’s Regular Post: Down The Rabbit Hole. Hope you all enjoyed your time here today at The Cottage Market and I hope you enjoy Gina’s Farmhouse Formula as much as I did!